Share these gorgeous cones amongst your wedding guests. Filled with traditional confetti or rose petals, these cones allow your guests to greet you after your ceremony in truly romantic style. 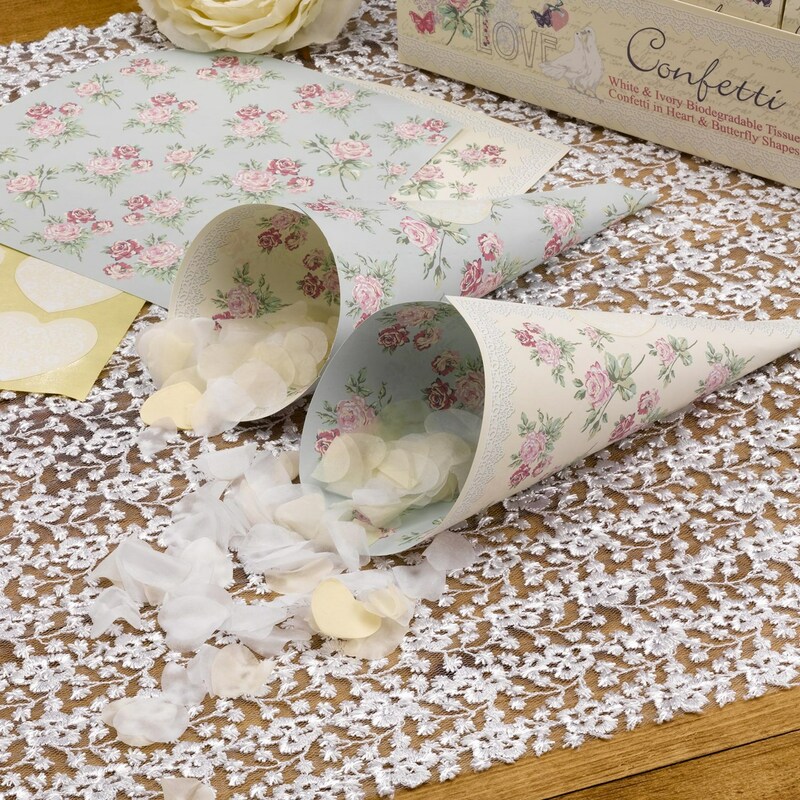 Easy to assemble, the cones feature a pretty floral design in shades of ivory and light blue. The cones are secured using a co-ordinating ivory heart-shaped sticker. A lovely way for your guests to take part in your special occasion.